Zoo volunteers are an integral part of the Zoo, contributing their time and energy to the Zoo’s education and environmental mission. Whether it is going out on Zoomobiles with the Zoo Educators, talking to visitors, caring for the Zoo grounds, or helping out with the animals, our volunteers make a difference to both our visitors and the staff. Below is information on the different volunteer opportunities and how to get started. Read on and find out if being a Zoo volunteer is for you. Zoo Friends help staff special events, greet visitors and share educational information about habitats. All prospective Zoo Friends must be at least 18 years of age, complete an application form and interview process and attend a one-day training class. Classes are held twice a year. Please call the volunteer office at (203) 330-6046 for more information. Zoo Gardeners help the Zoo maintain and expand its botanical collection in the Greenhouse, outdoor beds and some animal habitats. Zoo Gardeners may also help with special events and help educate our public on horticultural matters. All prospective must be at least 18 years of age, complete an application form and interview process and attend a one day training process. Classes are held twice a year. Please call the volunteer office at (203) 330-6046 for more information. Zoo Docents are the Zoo’s volunteer educators. Docents help organize special events, assist in our education program and interact with our public on all aspects of animal and environmental issues. 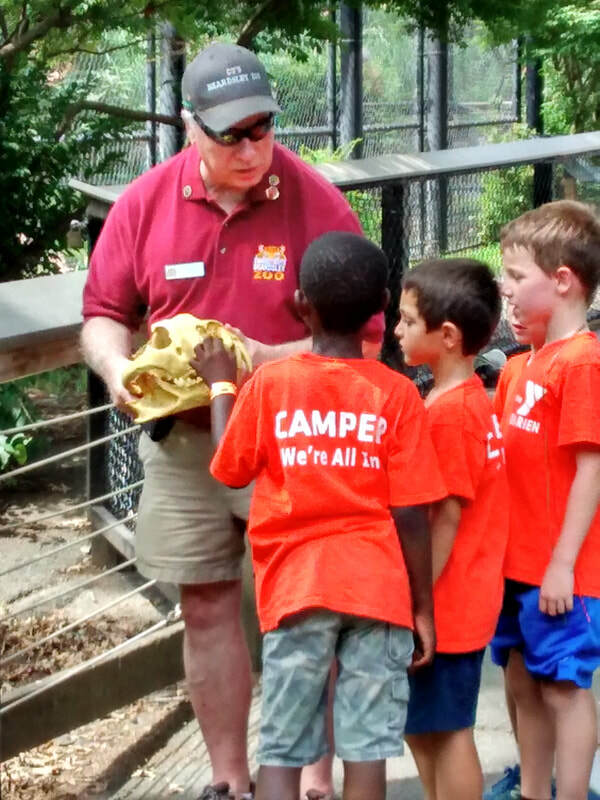 Docents can become involved in some aspects of animal care.To become a Zoo Docent, volunteers must be a Zoo Friend or a Zoo Gardener in good standing and complete Docent classes. Please call the volunteer office at (203) 330-6046. Interns assist our staff while learning valuable life lessons about their possible career choices. Click here to read more about internship opportunities. If you are part of a civic organization that's looking for a unique environment for a service project, please call our Volunteer Office at (203) 330-6046. ​Looking for youth volunteer opportunities? Click here to read about our year-round teen programs.